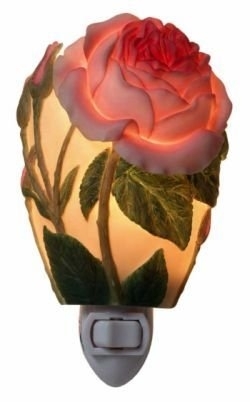 English Rose Nightlight, beautifully crafted by Ibis & Orchid, Inc. This English Rose Nightlight, beautifully crafted by Ibis & Orchid, Inc., is cast in quality bonded marble and then expertly hand painted. Prim and proper, this pink rose and rosebuds reach for the sun from their garden bed.